Severe dental anxiety is a common thing nowadays. In fact, 5% to 8% of Americans avoid going to the dentist because of fear. And a separate study concludes that approximately 20% of patients experience “enough anxiety that they will go to the dentist only when absolutely necessary” (source: http://www.webmd.com/oral-health/features/dont-fear-the-dentist). Here at Smiles at Fairfax Corner in Fairfax, VA we treat severe dental anxiety in adults in many ways. We want patients to receive the dental care they need and deserve without having to feel overly anxious, fearful, distressed, nervous, scared, tense…you get the idea. 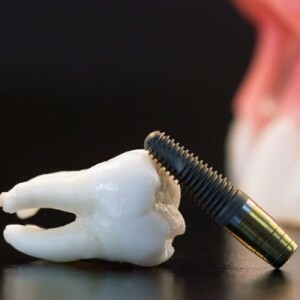 So how do we provide dental treatment to patients who may be “sweating bullets” in the dentist’s chair or worried sick about their upcoming appointment? Dr. Riaz Rayek and his gentle, caring team will tell you how…so join us! As we mentioned, we want to make sure you receive the dental care you need and deserve. So you shouldn’t let nervousness or frightening feelings get in the way of taking care of your oral health. Many of our patients choose Smiles at Fairfax Corner because of our extensive experience helping patients overcome their fear or anxiety at the dentist’s office. We have many years of training and education that helps us help you. As a matter of fact, Dr. Rayek, a member of the Dental Organization for Conscious Sedation (DOCS), has performed hundreds of cases of conscious sedation. He has received specialized training and education to help fearful patients obtain the dream smile they deserve. In addition to Dr. Rayek’s exceptional conscious sedation skills, Dr. Traboulsi performs IV sedation for oral surgery patients. 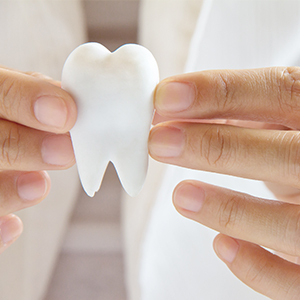 Rest assured, you are in excellent hands with our dentists. Rest assured, all of our training, education, and experiences allow us to offer sedation dentistry to our patients. Sedation can be used for pretty much any type of appointment (from teeth cleanings to oral surgery); the type of sedation just depends on your level of anxiety and the type of procedure you’re getting. Just speak to us about your fears, worries, and concerns. We will listen to you. We will tell you all about your options when it comes to treating severe dental anxiety and getting the dental care you need. There are several options when it comes to sedation dentistry. At our office, however, we offer sedation dentistry in pill format (referred to as oral sedation), IV sedation, and nitrous oxide (referred to as “laughing gas”). For sedation cases, we work closely with board certified anesthesiologists of the Horizon Anesthesia Group (part of the Fairfax Hospital Anesthesia Group). By working closely with their team, we are able to offer full sedation (referred to as general anesthesia) for patients who want to be completely asleep during the dental appointment. For patients who don’t want to be completely asleep during the appointment, oral sedation and nitrous oxide are great options. You will feel deeply relaxed, comfortable, and at ease with these types of sedation. Actually, oral sedation in pill format can be taken in the hours leading up to your appointment so the anxiety or panic won’t have time to set in! But are these forms of sedation dentistry safe? Is it safe to treat severe dental anxiety in adults by using sedation dentistry? Both are valid questions that need answers. Concerned about sedation dentistry being safe for adults? At Smiles at Fairfax Corner, you can feel confident in our skills, education, training, and experience. And the fact that we work closely with board certified anesthesiologists for sedation cases should put you more at ease. So, if the proper steps are taken and if the dentist has undergone the proper training and education, sedation is very safe for adults and children alike. The key is to find a dentist who fits this description. And if you live in or near Fairfax, VA, Dr. Rayek and Dr. Traboulsi fit this description. Ready to see what it’s like to go to the dentist and NOT feel anxious? If you’re ready for a positive experience at the dentist’s office and you live in or near Fairfax, VA, call Smiles at Fairfax Corner. Just let us know that you’re interested in sedation dentistry and you’d like to schedule a consultation with one of our dentists. At that first appointment, you can ask us any questions you have. We will listen to your concerns. We will provide treatment options and sedation dentistry options. Once we figure out your treatment plan and which type of sedation is best suited for your case, we’ll schedule your next appointment with you. Then you can look forward to a positive experience at the dentist office without all of those anxious, worried feelings.